On a whim I got some squid from The Local Catch at the South Kingstown, RI winter farmers market. A small amount, because I’d never cooked it before. I have several go-to web sites for my paleo-leaning predilections, Mark’s Daily Apple being a main one. There, I found a recipe for Salt and Pepper Squid. I did not really follow that recipe, partly because I wanted to eat them on their own and partly because I was in a use-what’s-in-the-kitchen mode, but I used its quick-and-hot stir-fry technique. The squid had already been cleaned. I put a skillet on medium-high heat, added coconut oil, and let it get steamy. I dropped in the squid while leaning back as far as I could, and they immediately quivered and bounced into the cooked-squid form we all know and love. The key is to not overcook them, which is what makes them chewy. That’s why the quick-stir-fry is good. I pushed them around the pan for a minute or two but really they were done almost immediately. I removed them from heat and added a little freshly-crushed black pepper and this special Maori sea salt with kelp. And they were good. Really good. 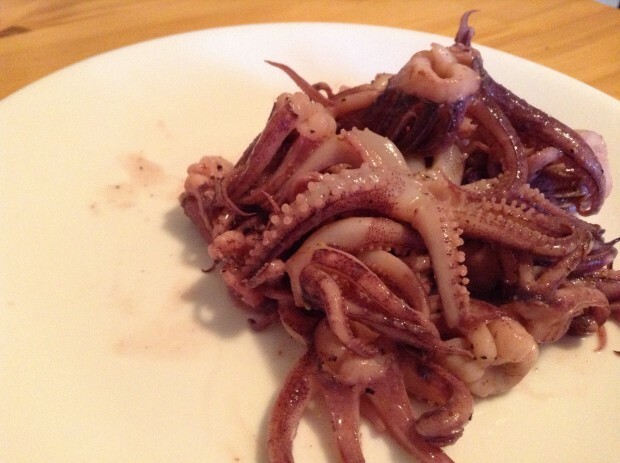 Just an FYI…those are baby octopus. Not squid. 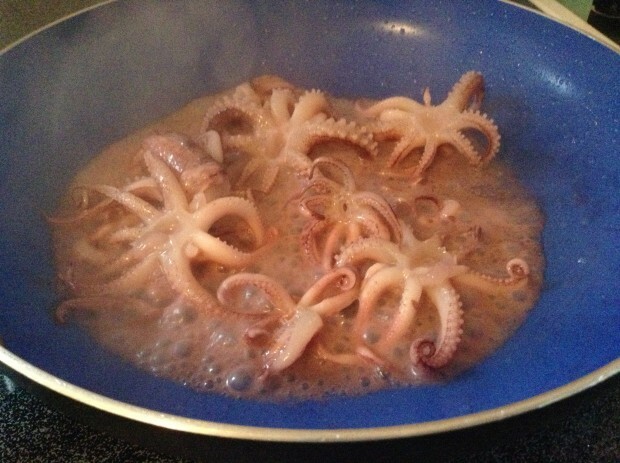 Well, they look just like what I was told was baby octopus when I bought them…so…IDK. I asked the folks I bought them from, because there’s been some confusion. 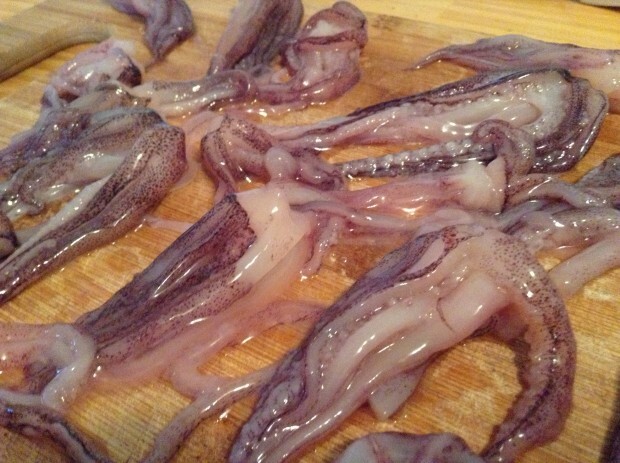 They are the tentacles of loligo squid. I love squid. So easy, quick, inexpensive and tasty! 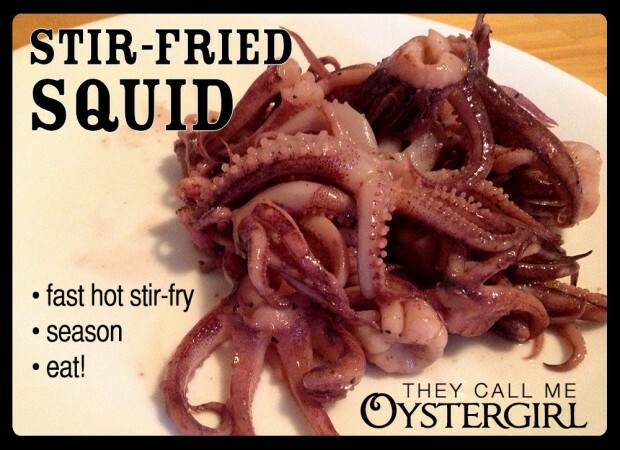 I have several recipes on my blog for squid.